The key had snapped in the lock of this Dudley Harlech safe at a business in Manchester. 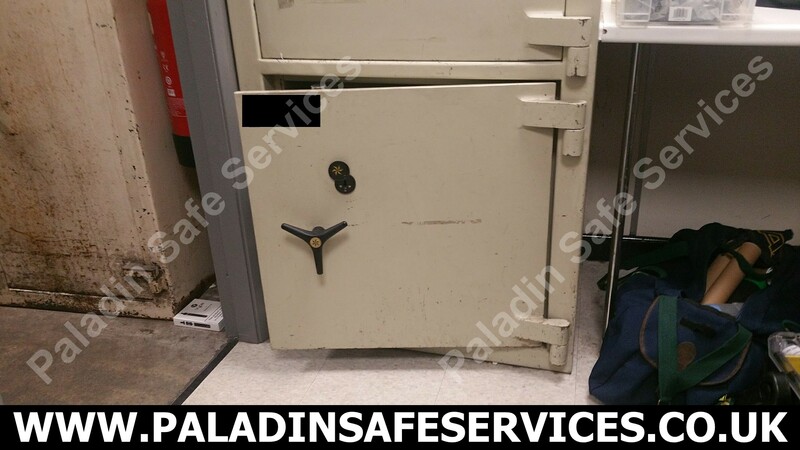 We opened the safe non-destructively and supplied them with a new set of keys. If you need a safe cracker in Manchester then give us a call. The combination had been lost to this Dudley safe at a business in Northwich, Cheshire. 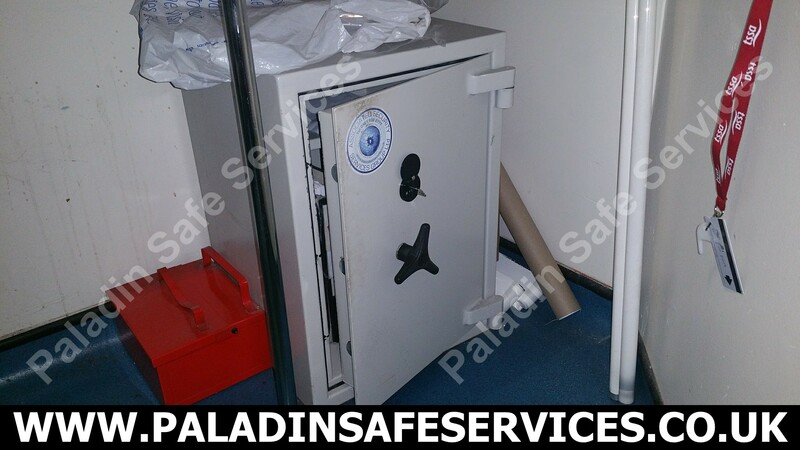 We opened the safe by manipulation so as not to cause any damage and reset the combination. If you need a safe cracker in Cheshire then please give us a call. The handle on this Dudley Europa grade 0 safe had been broken off during a robbery at a hotel near Kirkham in Lancashire. 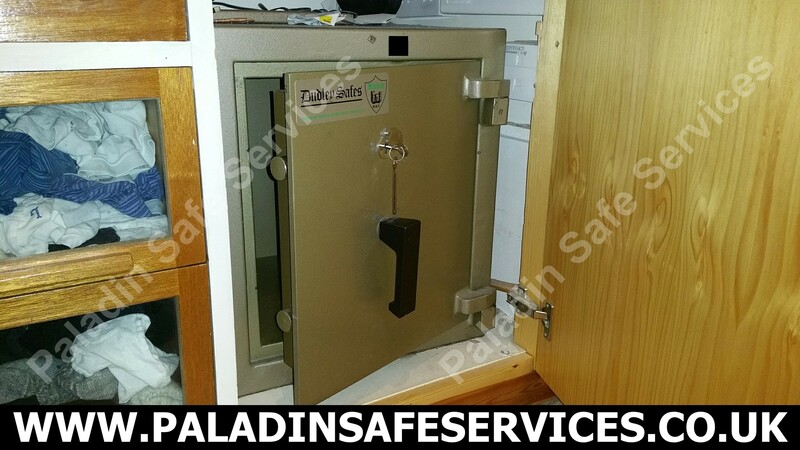 Their local locksmith was called to help but knowing that a safe engineer was needed for the job he called us to get it open. Despite them having the key for the safe it will not open without a turn of the handle which was now laying on the floor. Once we were given the go ahead to open it from the crime scene investigation team we were able to open it around them whilst they continued collecting evidence. It wasn’t known for sure until we got it open but they were relieved to find the contents of the safe were still safely inside. 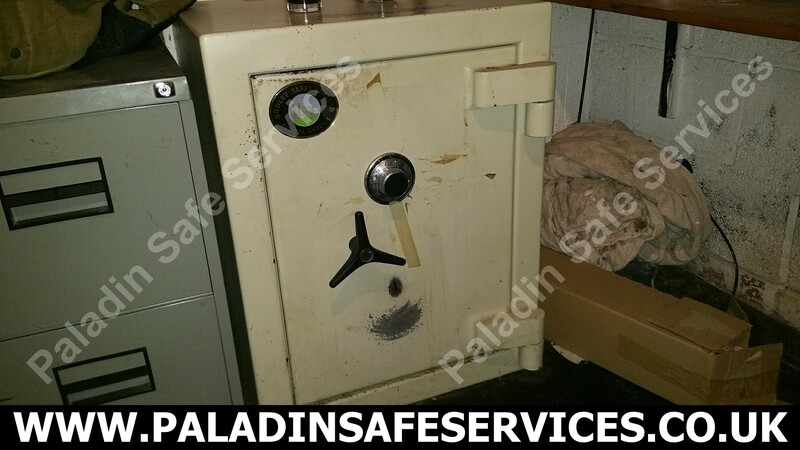 We were called to open this Grade 1 Dudley safe at a shop in Manchester after the keys had been stolen in a robbery. The lock was picked open and replaced providing them with a new set of keys. The advantage of picking the lock rather than drilling is that there is no mess to clean up, no repairs required and the safes integrity is not compromised. If you need a professional safe locksmith in Manchester or anywhere else in the North West of England then please get in touch. One of two safes picked open for a client in Warrington. All keys lost to this Dudley Harlech safe, the lock was picked open causing no damage at all to the safe. This Dudley Harlech safe at a hotel in Stockport had a very handy deposit chute for dropping money in without having to unlock it. This is a great feature but once you realise that you’ve deposited both of the safe keys then it becomes a bit of a problem. Fortunately our safe engineers are good at problem solving and were able to pick the lock open without damage so that the keys could be retrieved. The combination lock had accidentally been locked on this Dudley Europa Grade 1 safe at a pub in Wythenshawe, Manchester and nobody knew the combination. We opened the combination lock without any damage which enabled them to use the key lock to open it once again. 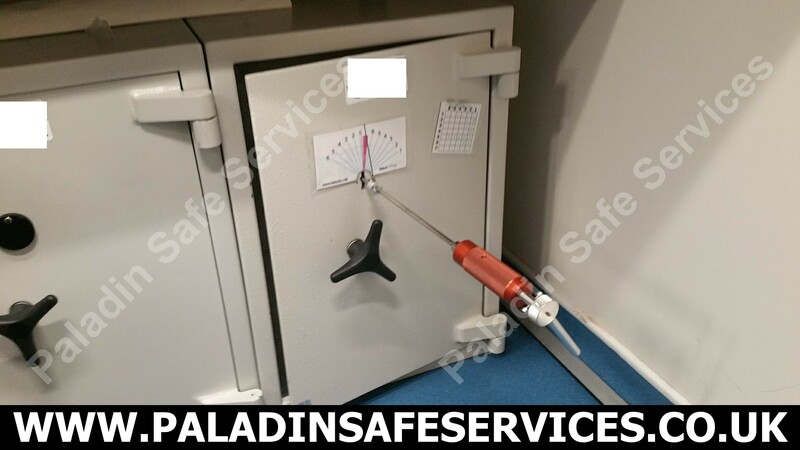 The staff at a shop in Ellesmere Port could not open their Dudley safe and the keypad to the La Gard AuditGard lock was dangling freely off the safe. We opened the failed lock and replaced it. 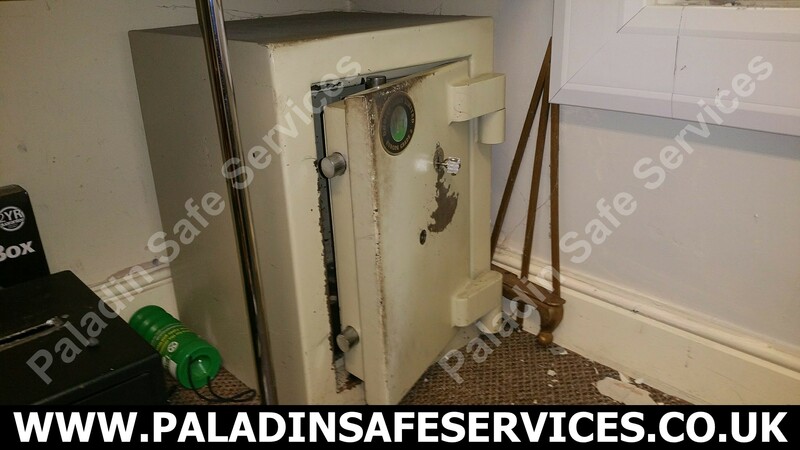 We were called to a hotel chain in Glossop, Derbyshire as the key was stuck in this Dudley Harlech safe. We found that the boltwork had worked itself loose and required some minor repairs. This sort of job highlights that safes require regular servicing just like anything else mechanical. You wouldn’t dream of of running your car without regular maintenance and yet most people notice that something is not quite right with their safe but leave it until it finally fails before getting it seen to. 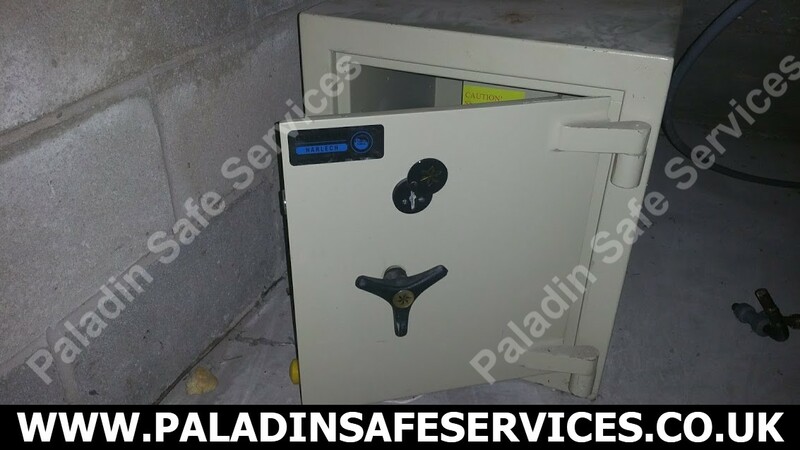 This usually coincides with some important event that requires immediate access to the safe and often the replacement of parts that would not have broken if tended to sooner. The proverb ‘A stitch in time saves nine’ is very much true, if you notice a problem with your safe then call us out sooner rather than later. The keys to this Dudley Harlech safe were stolen during a robbery at a house in Didsbury, Manchester. 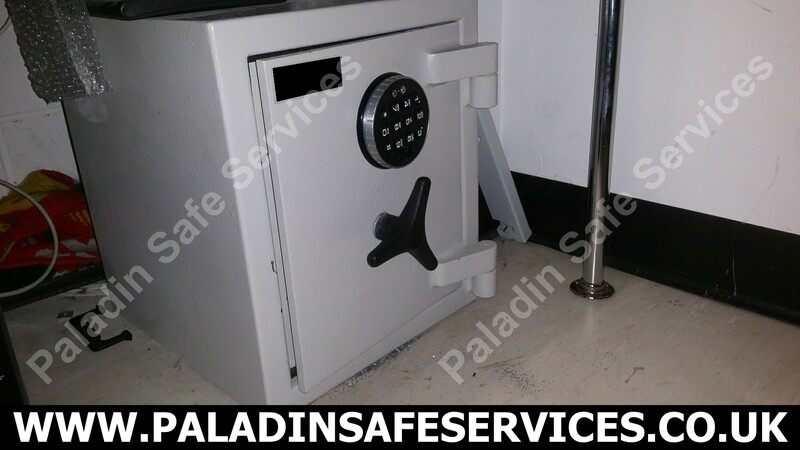 We opened the safe without damage, changed the lock and provided new keys.